What started as a pilot project on a Halifax Transit bus has now received national recognition, thanks to its volunteers. 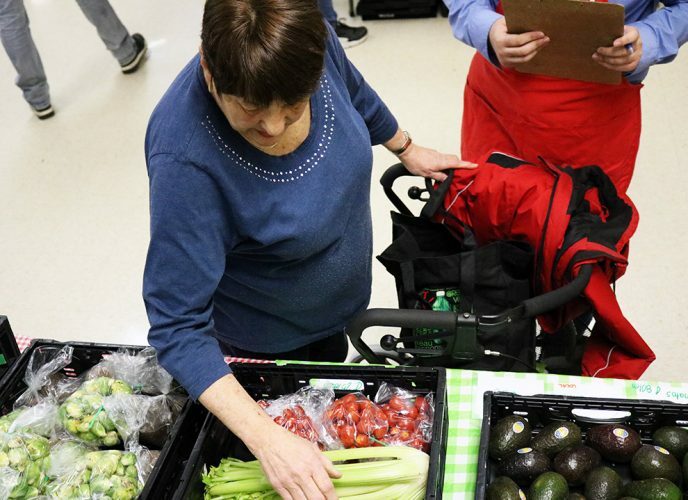 The Mobile Food Market has been running for two years, bringing fresh and affordable fruits and vegetables to immigrants, seniors and young families to combat food insecurity. It won silver at the IPAC/Deloitte Public Sector Leadership Awards in Toronto on Monday. Jessie Dale, co-ordinator of the market, said this success is due to those who donate their time. “Volunteers are integral to the project; it would not run without the help of volunteers,” said Dale. 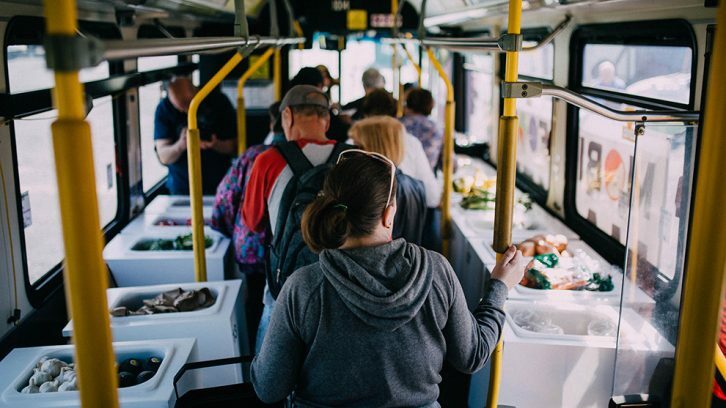 In the summer, a bus with customized food carts travels around the Halifax Regional Municipality, while in winter Dale drives a yellow truck and brings the market to indoor spaces. The work starts on Friday. Dale goes to local farmers to obtain produce, though in the winter, most of it is purchased from the Atlantic Superstore. 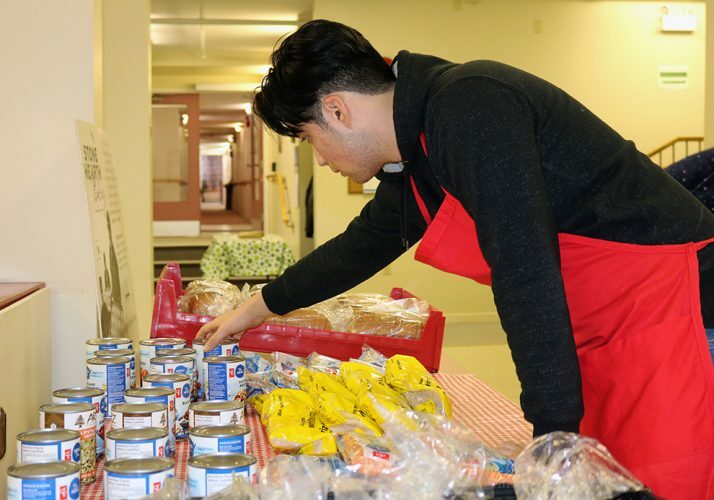 Then a group of volunteers gather on the first floor of the Superstore on Joseph Howe Drive to package, weigh and divide the food. These items are then placed in a freezer. The work doesn’t end here. On Saturday, volunteers help to carry the load from the truck and help set up the market. They also assist customers. Many of these volunteers are immigrants. For them, the market is a way to improve their English and meet new people. 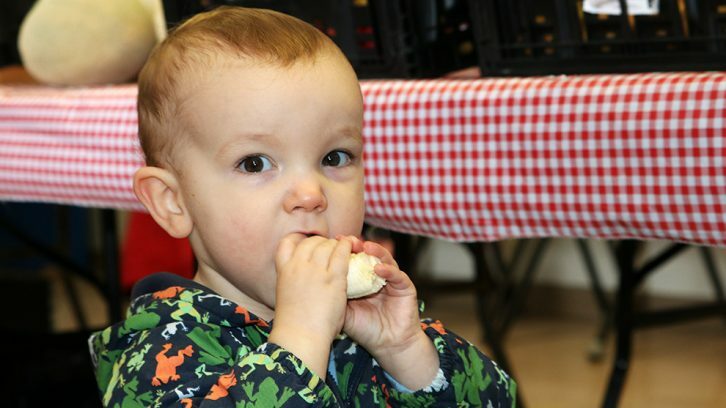 The market runs every second Saturday in north-end Halifax and Fairview. 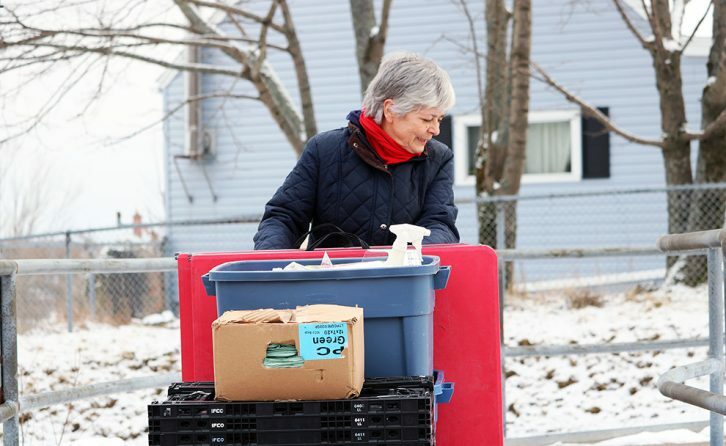 Since March 2017, there’s also been a Wednesday drop-off program for the communities of Spryfield, Harrietsfield, North Preston and East Preston. Frequent customer Amy Laplante loves the market because of the prices and sense of community. She recently was able to get celery for $2.25 each. 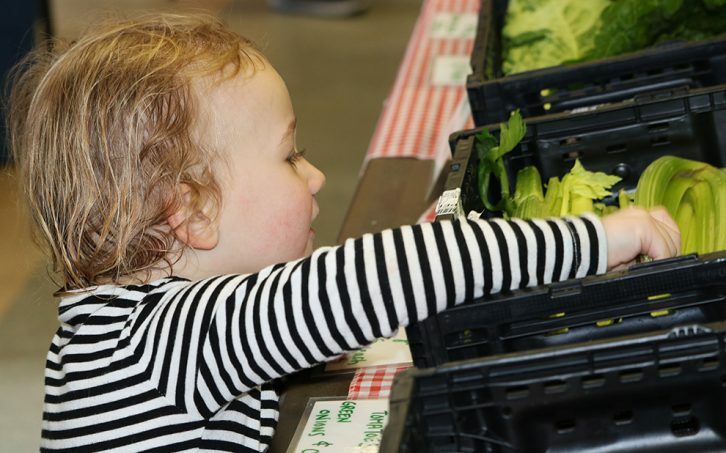 Since many of those who attend the Halifax and Fairview markets are regular customers, Dale now knows the likes of each community and will order produce accordingly. 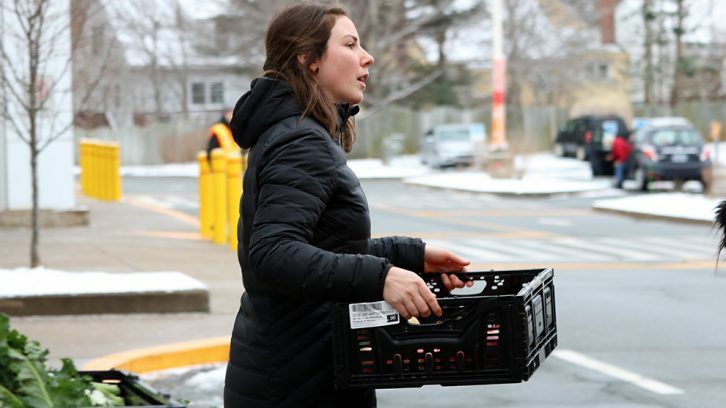 “In the north end (Halifax) we sell a lot more cantaloupes than we do in Fairview, so I usually just order cantaloupes for the north end and then maybe one or two will get to Fairview,” said Dale. The bus and truck used for the project are provided by the Halifax Regional Municipality. Dale says about 30 per cent of the produce is obtained from local farmers in the winter, while in summers this quantity is larger. She gets the produce from Superstore at a discount. Jenny Peters comes to the market because of the convenience. 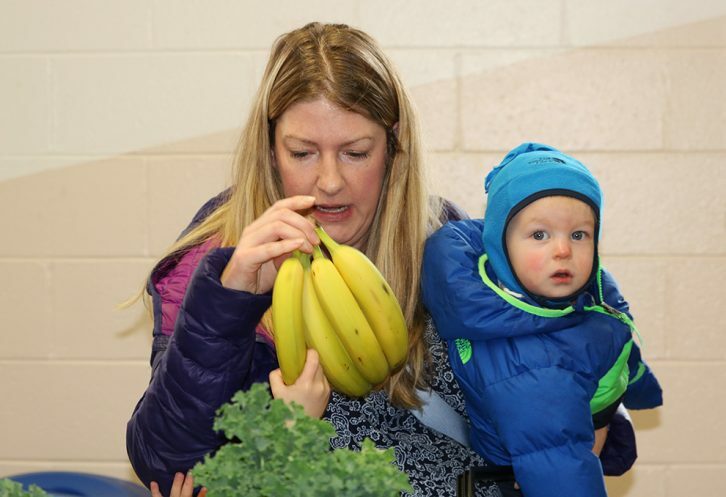 “We, as a family, like to eat healthy and prepare local food and the prices are very, very good,” she said. Dale says any leftovers are sold to restaurants or donated to shelters in Nova Scotia. This is fantastic. I’ve been following the project for a while now. Any chance ketch Harbour could be a drop location in the near future? Now that we have the community hall we have a location. Maybe we can talk Jesse? We have seniors and those who can’t drive I the community who could benefit from this program. I love this idea, more affordable, healthy food for all. No one should go hungry!